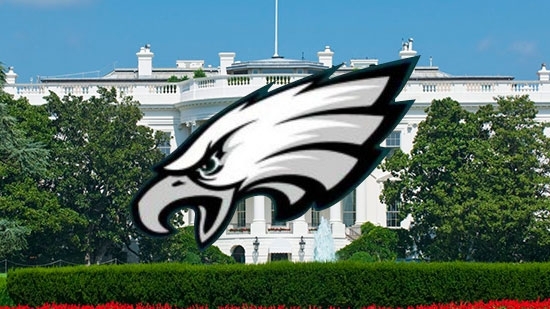 President Donald Trump has disinvited the 2018 Super Bowl Champion Philadelphia Eagles from a visit to the White House scheduled for Tuesday, June 5th. In a statement, he cites several players' disagreement with the NFL's National Anthem policy and his support of standing during the "Star Spangled Banner" as reason for canceling the event as planned. Not all members of the Eagles had planned on attending in the first place, notably safety Malcolm Jenkin and defensive end Chris Long. It is not clear how many players were expected to attend, it may have been as few as 10. But some viewed it as a historical opportunity, and a celebration of the team, not a political statement. There will still be a ceremony held with the United States Marine Band and the United States Army Chorus. "The Philadelphia Eagles are unable to come to the White House with their full team to be celebrated tomorrow. They disagree with their President because he insists that they proudly stand for the National Anthem, hand on heart, in honor of the great men and women of our military and the people of our country. The Eagles wanted to send a smaller delegation, but the 1,000 fans planning to attend the event deserve better. These fans are still invited to the White House to be part of a different type of ceremony-one that will honor our great country, pay tribute to the heroes who fight to protect it, and loudly and proudly play the National Anthem. I will be there at 3:00 p.m. with the United States Marine Band and the United States Army Chorus to celebrate America." "It has been incredibly thrilling to celebrate our first Super Bowl Championship. Watching the entire Eagles community come together has been an inspiration. We are truly grateful for all of the support we have received and are looking forward to continuing our preparations for the 2018 season." 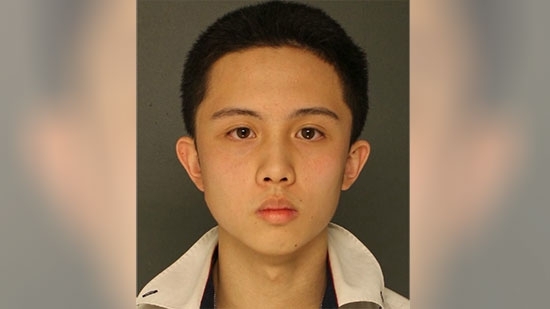 A Taiwanese foreign exchange student who threatened to shoot up a Delaware County high school pled guilty today, 6/4, in court and was sentenced. 18-year-old An Tso Sun of Taiwan entered a guilty plea to making terroristic threats. Judge Barry Dozor sentenced him to four to 23 months in jail with credit for time served. He was immediately paroled to ICE for deportation. He also had to pay $700 in restitution, $350 each to Folcroft Police Department and Trainer Police Department for K-9 services. Earlier this year he told a classmate to not come to school at Monsignor Bonner and Archbishop Prendergast High School (Bonner Prendie) in Drexel Hill on May 1st because he planned to shoot up the school. He then said he was just kidding. The classmate still reported the comment to school officials. A police search of Sun's bedroom turned up numerous live rounds as well as other weapons and gear. This case has made international news. His father, actor Sun Pen, and his mother, actress Di Ying, were in court today. Officials in Mercer County, NJ, are investigating a possible murder-suicide. The Mercer County Homicide Task Force responded to a residence on the 100 block of Robbinsville-Edinburgh Road in Robbinsville on Monday, 6/4. They are investigating the deaths of an adult man and woman. The investigating is still in the preliminary stages. The Philadelphia Phillies selected 3B Alec Bohm from Wichita State 3rd overall in the MLB Draft.